With a receiver unit installed, an SL or RX wireless controller expands the heating control options to include temperature and time control. 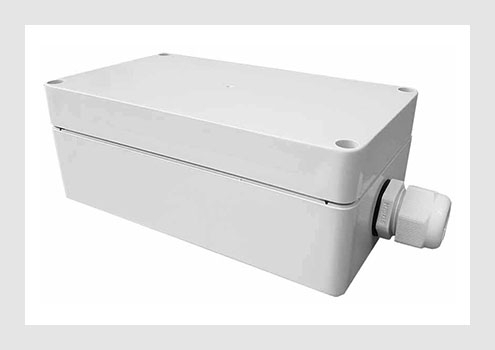 Our RXREC receiver unit enables certain air curtains controlled by a remote switch to be wirelessly controlled by a CRXSL controller, expanding the heating control options to include temperature and time control. The RXREC can be retrofitted to existing compatible air curtains. Can be retrofitted to existing compatible Claudgen products. 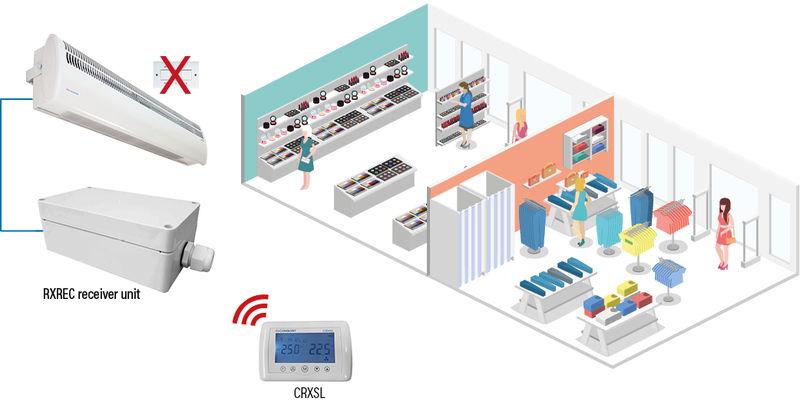 Each heater must be connected to an RXREC for it to be controlled by a separately purchased CRXSL. Multiple heaters can be controlled by a CRXSL. Long range performance dependent on building construction. With RXREC installed, a CRXSL controller replaces the existing remote switch. The Time/Manual mode in a CRXSL controller takes advantage of the RXREC long range performance to allow heaters to be controlled from a different room. 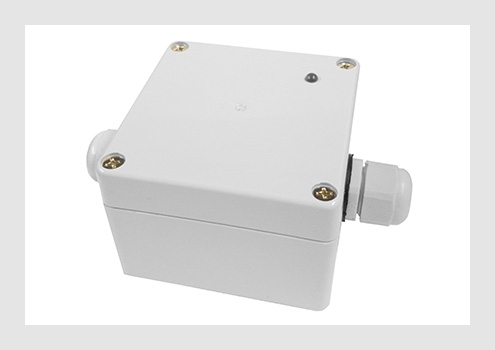 Our SLREC receiver unit enables certain heaters controlled by a remote switch to be wirelessly controlled by an SL or CRXSL controller, expanding the heating control options to include temperature and time control. The SLREC can be retrofitted to existing compatible heaters. Can be retrofitted to existing compatible heaters. Each heater must be connected to an SLREC for it to be controlled by a separately purchased SL or CRXSL controller. Multiple heaters can be controlled by an SL or CRXSL controller. With SLREC installed, users have a choice of four different controllers to control heating.